Independence Day in Zimbabwe is celebrated on April 18. It commemorates the country’s independence from the United Kingdom in 1980. The first Europeans to arrive in what is today Zimbabwe were the Portuguese. However, they failed to establish a colony because of the resistance of local kingdoms. The British arrived in the 1880s with the British South Africa Company. In 1898, the territory was officially named Southern Rhodesia after Cecil Rhodes, a British businessman, magnate and politician who founded the British South Africa Company. In 1923, Southern Rhodesia became a self-governing colony within the British Empire, meaning that its government was able to make most decisions without the colonial power’s approval. During the Second World War, many Rhodesians participated in various military campaigns on behalf of the United Kingdom. The Royal Family even visited the colony at the and of the war to thank its people for their bravery. After the war, the world’s colonial system began to collapse. Afraid of losing its African territories, the UK created the short-lived Federation of Rhodesia and Nyasaland in 1953. It was a semi-Dominion comprising the territories of present-day Zimbabwe, Zambia, and Malawi. The Federation was dissolved on December 31, 1963. Nyasaland and Northern Rhodesia promptly declared their independence as Malawi and Zambia, respectively. Southern Rhodesia, however, remained a British colony and changed its name to simply Rhodesia, although the UK didn’t recognize the new name officially. The colony was ruled by a white minority government, and the UK adopted the “no independence before majority rule” policy and refused to recognize the independence of Rhodesia unless it implemented majority rule. In 1965, the white-minority Rhodesian government declared the independence of Rhodesia. It was not recognized by the UK and sparked a civil war, commonly known as the Rhodesian Bush War, that lasted for 15 years. The war led to the end of the white majority rule and the implementation of universal suffrage. When the war was over, Zimbabwe officially became an independent state on April 18, 1980. 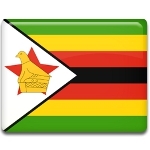 Zimbabwe Independence Day is celebrated with flag hoisting ceremonies and solemn speeches. A military parade is held in the country’s capital of Harare. Public celebrations usually take place at one of the two large stadiums in Harare, the National Sports Stadium or the Rufaro Stadium. Releasing white doves to the sound of the national hymn has become an Independence Day staple. This tradition symbolizes peace across the nation. However, the celebrations have been subdued over the past few years due to socioeconomic problems. Many business owners prefer to keep operating on this day, despite the fact that Independence Day is a non-working public holiday. In 2018, Zimbabwe marked its first Independence Day without Robert Mugabe in power, who had ruled the country for more than two and the half decades. Many people considered this celebration the beginning of a new era in the country’s history.